An illness has forced Russia’s Milana Dudieva out of her bantamweight bout with Strikeforce veteran Amanda “Lioness of the Ring” Nunes at Invicta Fighting Championships 2 on July 28th in Kansas City, Kansas. Leslie “The Peacemaker” Smith will now face off with Nunes on the main card. The change was officially announced by the promotion earlier today. Smith engaged in a spirited Fight of the Night battle with Kaitlin Young at Invicta FC 1 in April that ended in a Split Draw. Nunes makes her promotional debut in the fight and looks to rebound from only the second loss of her pro career. Smith (3-2-1) opened her mixed martial arts career with three victories as an amateur before turning pro in early 2009. She won three of her next four fights, including a pair of Kickdown title victories over Louise Johnson, with the lone defeat coming via competitive decision in a bout with fellow striker Kerry Vera under the Bellator banner. In October, Smith faced off against Ediane “India” Gomes at BlackEye Promotions 5, but dropped a Unanimous Decision to the Brazilian in a bout that Gomes dominated on the feet and on the ground. Smith put on arguably the best performance of her career against Young in April and appeared to have done enough to win at least two of the three rounds, but two of the judges disagreed and the action-packed bout ended in a Split Draw. Smith now looks for her first Invicta FC win in her second appearance for the promotion. Nunes (6-2-0) is one of the most powerful strikers in the women’s bantamweight division. All six of her professional victories have come via a form of knockout. 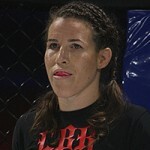 Nunes brought a five-fight winning streak into her January 2011 Strikeforce debut and moved up to 145 pounds to face Julia “The Jewel” Budd, whom she knocked out in just 14 seconds. She is coming off of a disappointing second-round stoppage loss to fellow Invicta FC 2 participant Alexis Davis in September and now looks to get back on track later this month. Nunes was originally preparing for a powerful judoka with a strong ground game in Dudieva and will now be forced to adjust her strategy for the fight with fellow striker Smith. A victory for Nunes could place her right back among the top prospects in the competitive bantamweight division. I love this match. Both love to strike and both have a strong jiu-jitsu. Love Leslie Smith. She wins if she can survive Amanda’s early onslaught. Otherwise, if she is too battered, Amanda Nunes for the win. For the record, Amanda dominated the great Alexis Davis in the first round (more than Kaufman), but gassed in the second round. So, Amanda is a very, very dangerous opponent.